While we understand The Dude’s love of his rug, his life would have been so much easier if he had simply contacted a professional carpet cleaning company to make it look as good as new. If you’ve got a rug you love just as much, read on for a few tips to keep it looking its best for years to come. Ever see a rug where one side is obviously faded more than the other? That’s due to wear, and there’s an easy way to prevent it from happening. Depending on traffic, rotate the rug on a regular basis. If there’s a lot of traffic, plan to rotate every 6 months. If traffic is minimal, rotations every 2 years should be fine. If a table, chairs, or sofa is placed upon the rug, a pathway will be formed. Over time, a wear pattern can be created with the repetition from foot traffic. From time to time, move the placement of the furniture. This will alter the foot pathways and reduce the amount of traffic in the same spots. Just like most kinds of carpeting, regular vacuuming is essential for the health of your area rug. Not only will it pick up dirt and debris, but vacuuming also helps to revitalize the fibers. However, if your rug has fringe, be sure never to vacuum it with your beater bar. Instead, use the end of a vacuum hose attached to a canister vacuum. If you’ve got a shag rug or a similar rug type that has longer pile, the beater bar of your vacuum cleaner can cause endless problems. 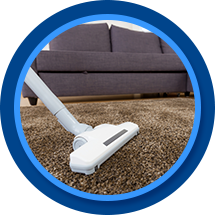 Make it a point to use a vacuum cleaner attachment without a beater bar, or flip the rug over in order to vacuum the bottom. One of the least fun experiences you can have is to step wrong on a rug and have your foot, along with the rug, slip on the smooth floor below. If you have a high-quality pad placed underneath the rug, it will grip the floor and effectively prevent slippage. Pads are also excellent for protecting the rug from wear, dirt, and debris. Ordinarily, regular vacuuming and quick clean up of stains is enough to keep your rug looking good. But as time goes on, it’s going to need a facelift. At that point, many people make the mistake of thinking it’s time to just buy a new rug. 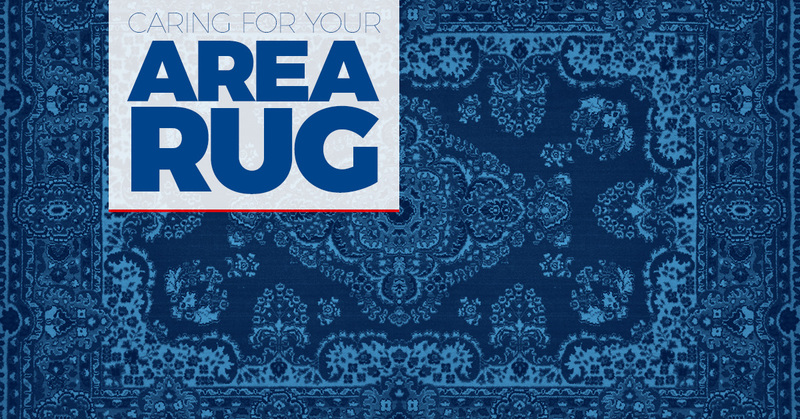 Before you spend money unnecessarily, make an appointment to have your area rug professionally cleaned. By calling the pros, you can guarantee that the work is done properly, and you can feel confident that the end result will be your rug looking as good as it did the day you bought it.